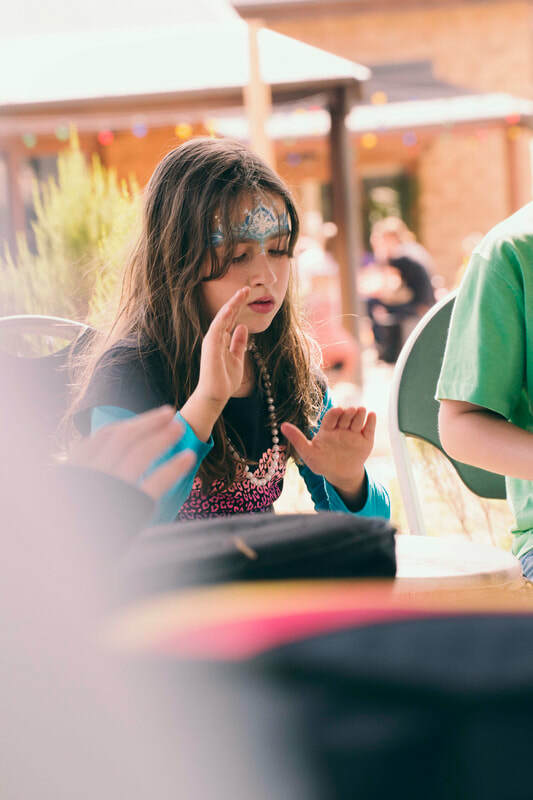 Drumming provides an engaging forum for learning accessible to children of all ages - whether it be for a little extra-curricula fun, or as an integrated part of your school's program. Specialised ensemble courses from 4-8 weeks in length, with a performance outcome suitable for school performances! Contact us for more information about incorporating drumming into your school program! Drumming can be useful as a therapeutic and educational tool. Drums and percussion instruments are physical, sensory, portable, socially interactive, expressive, cultural, and offer a unique aesthetic experience. Social Needs Drumming is a collaborative and interactive process that invites little ones to develop skills of turn-taking and sharing, as well as encouraging them to recognise that they are part of a group contributing towards a group process. Communication Needs Drumming is a wonderful way to communicate nonverbally and to “listen” to another person’s nonverbal communication. Fine and Gross Motor Skills Different playing techniques can be used to help work on different fine and gross motor skills. Emotional Needs Participating in a drumming activity can help a child feel safe enough to express his/her feelings. It can also be a powerful way to transmute negative emotion. Cognitive Needs Drumming encourages children to develop their attention span, manage and control their impulses and work on their decision-making skills.